A response to the recent article “The war on antidepressants: What we can, and can’t conclude, from the systematic review of antidepressant withdrawal effects by Davies and Read” written by Doctor Sameer Jauhar and Doctor Joseph Hayes and published in the journal Addictive Behaviours, January 2019. The belligerent title “the war on antidepressants” is interesting in itself, because it was borrowed from a piece recently published by Jauhar and Hayes,1 two UK-based psychiatrists. 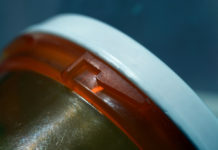 It illustrates well that the controversy surrounding the use of antidepressants has now turned into a heated dispute. This is a sad and very unfortunate state of affairs because by fighting we have never really solved the problem. This article will retell why two psychiatrists might declare that there is a war on psychiatry’s best-selling drug, what this has to do with antidepressant withdrawal and how a debate unfolded into a “war.” Because this issue has become political and contentious, I will start by honestly revealing that I also eventually entered this dispute by responding to a fierce critique from Jauhar and Hayes. Although some may allege I am biased for taking sides, my clear aim here, as it was before, is to stick to the scientific evidence. So let us start from the beginning. 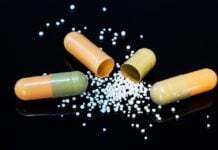 The media largely failed to notice this dispute until Davies and Read published a systematic review on antidepressant withdrawal on 4 September 2018 in the scientific journal Addictive Behaviors.4 This review estimated that, based on clinical trials, naturalistic studies and patient surveys, around half of antidepressant users experience withdrawal reactions, and that, exclusively based on patient surveys (the other study designs did not assess severity), just under half of the people concerned describe their withdrawal as severe. They also reported that, according to several studies, the mean duration of withdrawal reactions was much longer than merely two weeks. These findings stand in stark contrast to the information given in official treatment guidelines, which all corroborate the claim made by Burn and Baldwin (minor symptoms that resolve within 2 weeks in the vast majority). Thus, the alarming findings of the Davies and Read review understandably attracted much media attention and many newspapers were concerned about the massive numbers of people apparently suffering severe and protracted withdrawal effects (see for instance this report in The Guardian5). Given that the biomedical treatment approach constitutes the foundation of modern psychiatry, it was not further surprising that challenging the long-term safety of antidepressants caused discomfort (and, in my view, also disbelief and even denial) within academic psychiatry. I will return to this issue later. But for now, this was the moment when the psychiatrists Doctors Hayes and Jauhar entered the scene. In a blog post for the Mental Elf dated 18 October 2018, they made serious charges against Davies and Read, criticising their work as severely flawed. According to Hayes and Jauhar, the selection of studies was biased, the data extraction and analysis was biased, and both the presentation and interpretation of results were biased.6 Their blog concluded that “the non-systematic way in which the review is written, with errors in data extraction and interpretation, make it difficult to accept the findings with any confidence.” On 5 November 2018, Davies and Read responded comprehensively to the Mental Elf critique on the website of the Council for Evidence-Based Psychiatry.7 I will discuss the most important issues below, as they were later re-addressed in even more detail in a journal publication. What I wanted to illustrate is that the critique by Jauhar and Hayes expressed on social media and in the scientific literature was exceptionally fierce and reproachful. In my view, their critique was not only offending, but I also think that some of the most serious charges were unsubstantiated. Therefore, at this point, I felt that I have to enter this debate,8 because some (not all) allegations put forward by Jauhar and Hayes were evidently false. Davies and Read convincingly debunk most of them in their comprehensive response.9 For instance, contrary to what Jauhar and Hayes imply, the review set out with a comprehensive and systematic literature search. Inclusion and exclusion of studies was transparent and comprehensible. Moreover, the allegation that both the presentation of the results and the conclusions drawn from the data are severely flawed is unwarranted (or at least grossly exaggerated). So does the Davies and Read review have no limitations at all? No, of course it has, as all research has. A major limitation is that the review is based on many studies that themselves have limitations. For example, most clinical trials were of very short duration, often merely a few weeks, and therefore possibly misleading, since most patients use antidepressants for at least one year (withdrawal reactions are unlikely when the drug was used for a very short time only). On the other hand, the generalizability of attitude surveys is limited due to selection bias (people with a specific interest in the topic are more likely to participate). However, this certainly is no failure on the part of Davies and Read and they also acknowledge these limitations in their review. Still, to be honest, I do not completely disagree with all issues raised by Jauhar and Hayes. For instance, I agree with them that the quality of the individual studies included in the review could have been assessed more systematically with a formal risk of bias measure. I also agree that the meta-analytic procedure applied by Davies and Read was rather crude (e.g. they did not address heterogeneity and they did not compute confidence intervals to quantify the precision of the point estimates). Nevertheless, and apart from these issues, the review was generally conducted in a systematic, transparent and objective way, so I would say that its methodology was mostly sound (and not severely flawed, as contended by Jauhar and Hayes). Most importantly, I don’t think that the limitations detailed above invalidate the main study findings and the conclusion drawn from the data, namely that withdrawal effects are much more common and persistent than indicated in official treatment guidelines and that a substantial portion of patients consider their withdrawal severe. But that’s just half of the story. In my view, Jauhar and Hayes made several false and discrediting allegations. For instance, as comprehensively discussed by Davies and Read, Jauhar and Hayes contend that the review negligently missed 5 randomised trials, but upon closer inspection, Davies and Read noted that none of these industry-sponsored trials actually reported the incidence of withdrawal effects and that Jauhar and Hayes obviously did not check these publications. Instead, they apparently relied on a review co-written by the study sponsor (the pharmaceutical company Lundbeck), quoting figures that are not reported in these industry trials. In addition, Jauhar and Hayes write in their critique that “[Davies and Read] seem also to misunderstand simple principles that underpin why blinded RCTs are necessary. Thus, in the trial by Montgomery et al. (2005), DESS score was higher during placebo treatment than active treatment. … The findings from the Montgomery study illustrate precisely what a nocebo effect is.” This statement is absolutely false and misleading. The trial by Montgomery and colleagues was a so-called ‘discontinuation trial’. In this type of study, participants are treated with an antidepressant for a few weeks until their symptoms improve (in this case, 12 weeks), and then, in a randomly selected group of participants, the drug is unknowingly discontinued and replaced by a placebo pill, whereas the other participants, also unknowingly, remain on the drug. As a result, participants in the placebo group may experience withdrawal effects (as assessed with a questionnaire called DESS), whereas those who stayed on the drug, of course, cannot experience withdrawal. This explains why the DESS score is higher in the placebo group than in the drug group. Thus, this trial provides compelling evidence of a withdrawal reaction following discontinuation of an antidepressant. This is certainly not a nocebo effect. To be clear, this is not some kind of an academic quibble where some researchers disagree on an equivocal issue, but unambiguously a false allegation and serious misinterpretation of the data on the part of Jauhar and Hayes. It’s very unfortunate that such a fundamental error found its way into a scientific publication that will probably be read and disseminated widely. Understandably, such key opinion leaders (i.e. prominent speakers for the pharmaceutical industry) will certainly not write something that may offend the pharmaceutical industry. After all, you don’t bite the hand that feeds you (this bias is scientifically well established11). Instead, they state in their review, just like Burn and Baldwin did in their letter to The Times, that antidepressant withdrawal typically resolves spontaneously over 2–3 weeks. However, they just offer three references in support of this spurious claim. Two of these three references were case reports, both published in 1995, including 1 and 3 patients for a total of 4 patients (withdrawal lasted 3 weeks in one report and between 3 and 23 weeks in the other). The third reference, the only cohort study cited in support of their 2-3 weeks claim, was a small study by Fava and colleagues from 2007.12 In this study of 20 patients, a withdrawal reaction was observed in 9 patients (45% of all patients examined) and the syndrome subsided within 4 weeks in 6 patients (67% of all patients with withdrawal), whereas in 3 patients (33% of all patients with withdrawal) serious withdrawal symptoms persisted for several months after discontinuation. Two things are noteworthy about this review published in the American Journal of Psychiatry: Not only did the authors arbitrarily select only three studies reporting on the duration of withdrawal based on a total of just 24 patients (which is by no means representative of the broader patient population), the evidence they cite does not even support their spurious claim. Two references were merely case reports, which have very little external validity, and the small cohort study they quoted found that in two-thirds of patients withdrawal lasted up to 4 weeks and in one-third, it lasted several months. 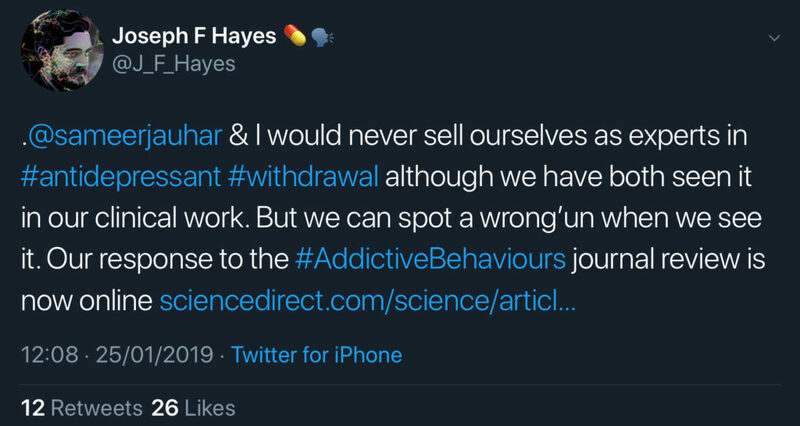 So, once again, a prominent claim that withdrawal effects resolve within 2-3 weeks in the vast majority of patients misrepresents the scientific evidence and, therefore, is empirically unsubstantiated. Ironically, when researchers present selected case reports of patients who experienced severe and persistent withdrawal lasting for several months, then academic psychiatry swiftly points out that this is merely anecdotal evidence of poor external validity and therefore inconclusive and misleading. However, eminent US psychiatrists come through with just that in a leading psychiatric journal as long as the message that these anecdotal reports carry are welcome. This is alarming and unscientific. Davies and Read put the claim that withdrawal symptoms affect only a small minority and typically resolve within 2 weeks to the test. They provide evidence that withdrawal effects occur in about half of all antidepressant users and that withdrawal is experienced as severe in about half of those concerned. These findings clearly contradict the preferred narrative in mainstream psychiatry. The media widely disseminated these inconvenient findings and soon the review by Davies and Read was fiercely attacked by academic psychiatry in the person of Jauhar and Hayes, who contend that the review was flawed and systematically biased. However, most allegations did not stand up to scrutiny and turned out to be greatly exaggerated or even false. In the interest of the patients who are currently experiencing withdrawal reactions and the many more who will suffer withdrawal effects in the future, we need to end this “war.” Academic psychiatry must address these problems and conduct thorough research on withdrawal reactions. Instead of declaring war, psychiatry should offer solutions on how it wants to combat severe and persistent antidepressant withdrawal. And it is important that psychiatry and clinical psychology reconcile, because, ultimately, we are on the same mission. Our purpose is to help people with mental health problems. Let’s not forget this, even amidst fierce scientific debates. Typically, withdrawal estimates of this sort are more likely to be under estimates than they are to be over estimates. This is true for any negative effects associated with drugs in which such blind faith has been invested. Psychiatric drugs are the mainstay of contemporary psychiatric treatment programs. I’m not saying that the use of these drugs is scientifically justified thereby, but I am saying that doctors are not looking for any problems regarding the use of their panacea. Either way, you don’t have war, you have an advertising spiel. In the public “mental health” system, drugs are going to win, but perhaps there is hope for doing things differently in private practice. Should healthy practices win out in private practice, then I think you’d probably have more material with which to bring such a debate into the public sphere. As I imagine that the most important consideration in the public realm is custom, I would think it is probably in private practice that any major, and scientifically valid, contributions to this argument might advance. I’m not sure ‘a war on antidepressants’ would be such a bad thing. I think, in fact, that it could mean that some people would be a lot healthier off drugs than they are currently on antidepressants. Very well stated Richard. Yes lots of detailed, good information in this article and I agree with your critique of the last paragraph and that trying to survive in a world that is “sick”, and morally and spiritually bankrupt, is the biggest reason for distress these days. I know two people who have been taking AD’s for a few years now. One of them accidentally forgot a pill one day and by the next day became extremely ill and at first didn’t realize what was causing her to be so sick. That was her first indication she was hooked. Both have tried to get off the pills but they can’t tolerate the horrific withdrawal so are still stuck taking them. Perhaps they want to return to the “non-biological psychiatry” of the 19th century: to lock people up because they are “immoral”, not because they are “sick”. Big difference. I wish they would since that would go over like a lead balloon nowadays. Everything in “mental health” is punishment for weird but legal thoughts/behaviors. If laws were broken there are already courts for criminals to be tried. Sometimes psychiatry is used to help prosecute actual crimes, especially in terms of sentence reduction in exchange for “treatment,” etc. Not to mention the insanity defense. Yeah. Thorazine is VERY biological, try taking it sometime. But for some reason its use in the 50’s-60’s didn’t count as “biological psychiatry.” For that matter, they used to keep people drunk on the “ships of fools,” also very biological. Translation of “immoral”: Disagreement with the religions or government. Despite the reality that today our government and 501c3 government controlled religions are the bastions of immorality. Rachel where did that imogee come from? Do you have a list somewhere I can link to? If the object was to lock up immoral people, even in the 19th century, the wrong people were getting the shaft. The thing about the “mental health” system that is so alarming is its circumvention of ‘rule of law’. What they were saying in the 19th century is that some people’s morality was “sick”. Today they are saying it’s their brains. Either way, it’s a loophole in “rule of law” that allows the “mental health” system to operate at all. People have talked about ‘othering’ here. The whole process could be referred to as a process of ‘othering’. Other peoples “morality” or “thought processes” are “sick” because “ours” are well, says this particular brand of an ‘us versus them’ dichotomy. It’s no wonder that “mental patients” served as the guinea pigs for Hitler’s final solution to the Jewish problem. People could conveniently avert their gaze. “Mental patients” have always fulfilled the role of the scapegoat’s scapegoat. And plenty of “immoral” people got away with whatever they wanted, because they had money, status and power. That’s what Samuel Butler was mocking in his novel Erewhon. Excellent post. Thank you. I would only add that there is no such thing as mental illness. There are, however, coping mechanisms people learn that allow them to function after a fashion in the face of overwhelming emotional trauma/abuse. These coping mechanisms tend to make others uncomfortable and so they label these people as mentally ill and do all they can to eliminate this source of discomfort for thenselves. Gee Lawrence, everyone seems to be ignoring you — how’ve you been? Any thoughts on the above comments re: “biological” psychiatry as a new species, rather than a variant of the same old? The so-called antidepressants should be outlawed as any other drug which harms or kills people is outlawed. Instead they keep prescribing the damned things as helpful treatment for depression. If something doesn’t work any better than placebo and if something harms people to the point of making them suicidal or homicidal then they are not “medicine” and should be taken off the market. We shouldn’t even have to be having this discussion at all. They should be removed from the market, period. They should be taken away from GP’s and psychiatrists since they masquerade as “good treatment”. Instead the drug companies are allowed to continue producing them and psychiatrists and real doctors are allowed to keep prescribing them to unsuspecting or gullible people. This is a crime of epic proportions and yet nothing is done about it. In this article, the economic determinants of this dispute are not discussed. Psychiatrists make money with antidepressants, psychologists, no. A patient may turn to a psychiatrist to cure his “depression”, or to a psychologist. But he can also turn to both, especially if the psychiatrist redirects his patient to a psychologist after prescribing antidepressants, or if a psychologist redirects his patient to a psychiatrist in psychotherapy. Which is common, and even usual. Thus, although rivals, psychiatrists and psychologists have an economic interest to collaborate, since they have the same clientele. However there are also territorial wars. The excessive promotion of antidepressants by psychiatrists can lead to a loss of clientele for psychologists. This is why psychologists occasionally remember that antidepressants are bad for your health, which puts psychiatrists in a rage. However, the collaboration between psychiatrists and psychologists is far too fruitful: one profession deals with drugs, the other with psychotherapy. That is why some psychologists are not favorable to the war, they think that antidepressants can be criticized “a little but not too much”, since psychologists and psychiatrists have fundamentally the same interests. This is what really explains this little controversy, and the eagerness of some psychologists to sign peace with the psychiatrists, with whom they share their clientele. As JRR Tolkien wisely said, “It takes but one enemy to make a war.” And we know who created THIS war. It’s not the fault of the downtrodden who rise up against the oppressors that the oppressors fight to maintain their power. They could simply acknowledge that these drugs have little positive effect and a lot of potential harms, and redo their “algorithms” accordingly. No war would be necessary if those in charge would simply admit the facts and work from them. A lot of people would be angry. A lot of us already are, but multiply that number by 20. I don’t think the shame is as much a deterrent as the loss of funding! As one of the, likely millions of, people who had the common adverse effects and symptoms of antidepressant discontinuation syndrome misdiagnosed as “bipolar,” I can say with 100% certainty that antidepressant withdrawal effects can last for decades. I first got brain zaps from an antidepressant, fraudulently prescribed as a “safe smoking cessation med,” in 2001. All the psych drugs harmed me, so I’ve been off them completely since 2009. But I still have the damn antidepressant withdrawal induced brain zaps in 2018. As to the psychologists and psychiatrists having the same mission, you are incorrect that that mission is helping people. But you are correct you do share a mission, according to both industries’ medical literature. And that mission is profiteering off of covering up child abuse. The DSM was even intentionally set up to prevent all “mental health professionals” from ever helping any child abuse survivors ever, unless they first misdiagnose them with the “invalid” DSM disorders, since child abuse is NOT an insurance billable disorder. Oh, and if you’re interested in psychiatric epidemiology, you might find it interesting to learn that the schizophrenia treatments, the neuroleptics (aka as antipsychotics), can create both the negative and positive symptoms of schizophrenia. The negative symptoms can be created via neuroleptic induced deficit syndrome, and the positive symptoms can be created via antipsychotic and/or antidepressant induced anticholinergic toxidrome. We need a war on the sort of mentality that would oppose a war on anti-depressants and the systemic violence they represent. We also need a war on the prevalent Mengelian mentality which advocates more “research,” as any “research” on “mental illness” is terminally flawed from the outset by the premise that such a thing exists, when it clearly cannot. Additionally any “research” using humans or animals should be banned as dangerous and cruel. And those who advocate for such such should be held to any existing international standards governing human rights violations. No “mental” illnesses perhaps, but a number of physical illnesses that present with “mental” symptoms that won’t be relieved with psychiatric drugs (and that shrinks don’t know about because their real medical training is ignored) do exist. Exactly, the Geneva Convention ruled that human beings cannot be experimented on without consent. But psychiatry does it all the time and gets away with it with no consequences at all. Furthermore these same people will dismiss or demonize those suffering after years on these drugs–shaming them to exonerate the pills (and their morally bankrupt profession)–and ignore how many health problems we have including early onset dementia and premature death. Skew the surveys and use anecdotal evidence–but only the anecdotes that they want the public to hear. And it is important that psychiatry and clinical psychology reconcile, because, ultimately, we are on the same mission. Our purpose is to help people with mental health problems. That is so incredibly false. Whether or not you realize it, if you are collaborating with psychiatry your social function is to keep people in line and mystify their suffering. Couldn’t agree more to your last statement. Most front line psychiatrists really want to help. But they only follow guidelines and visit industry sponsored conferences. They have a very biased view on the evidence. And if I inform them about balanced scientific views, most of them simply ignore it. And then I can feel the power-issues. What you describe doesn’t sound like an attitude of someone who “really wants to help,” but more a deliberate wearing of blinders. Are we to conclude that these “front-line” shrinks are ignorant sheep? Ah, the power issues! It’s easy to claim you’re trying to help when your social power protects you completely from the consequences of your help being so terribly harmful. They have completed premedical training however. How can they not know the history of the science behind their profession? Are they really that ignorant of what their prescriptions do? How they maim and kill people? However kindly their intentions their ignorance and the damage they inflict (even if unwittingly) terrifies me. It should terrify us all. Damaging a patient through avoidable ignorance or neglect can still lead to a legitimate doctor being sued. Yes. A lot of ordinary GPs would fall into this category as well. And most psychiatrists are not as remorseless or deceitful as members of the American Psychiatric Association and similar Inner Circle groups. No no no, that’s not what will turn the tide. Only organized resistance has a chance to do so, and an understanding that ALL psychiatric drugging is based on junk science. If there’s NOT a “war on the drugs themselves” there should be. You know. That old rascal. 😀 Needs a better organized filing system to keep his lies organized. Fooling all of the people all of the time is a tough act to pull. Lincoln said it was impossible. But what would Honest Abe know about successful mass deceptions?